Check the tabs above, or click these links, to learn more about MISTER SPACE; Frequently Asked Questions - FAQs, our UNIT SIZES, our SECURITY, our exact LOCATION, the FREE MOVING TRUCK and how to CONTACT us. Already a MISTER SPACE customer? Try the MAKE A PAYMENT tab. Our Manager, Assistant Manager and Relief Manager have a combined 50+ years experience in the self storage industry. We believe in personal contact with prospective customers. That’s why we don’t offer online reservations. But we DO offer a COURTESY HOLD (**) on available units to qualified prospective tenants. Our prices are not the cheapest, but they do reflect the safety, security, cleanliness and professional management of our facility. 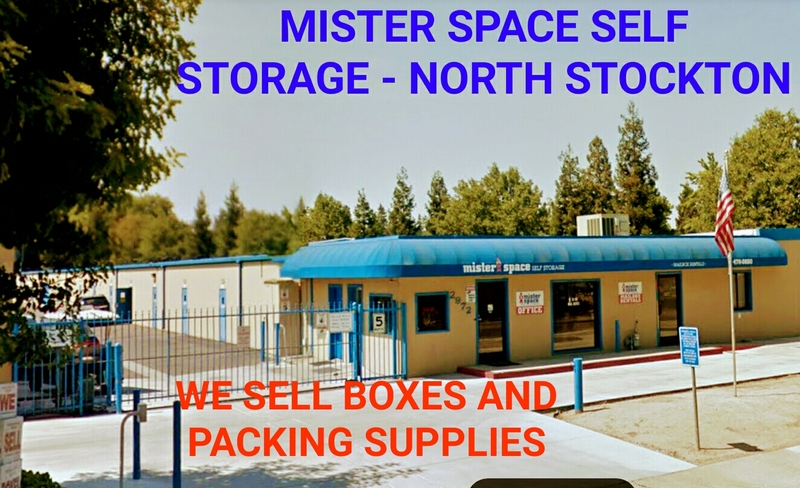 If you’re looking for self storage, either for yourself or your business, we hope you’ll consider MISTER SPACE. *We also sell boxes and packing supplies and rent personal mailboxes. ** Restrictions apply. Length of HOLD will vary with number of units available. Ask one of the MISTER SPACE self storage professionals for full details and current availability.